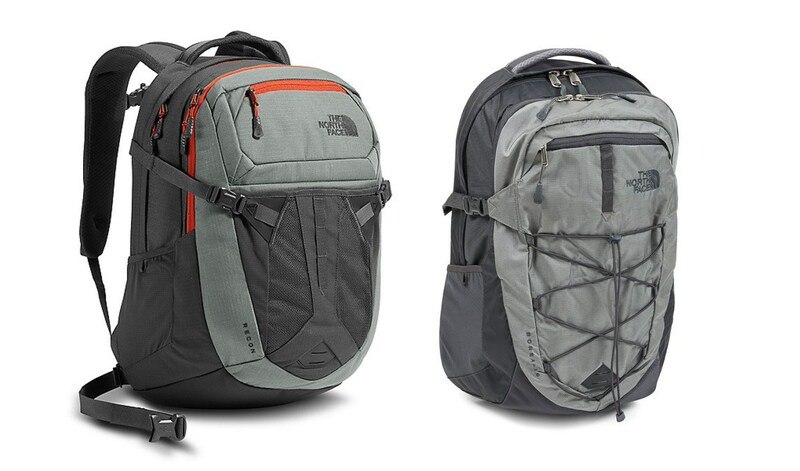 The Recon and the Borealis are two backpacks manufactured by The North Face. They both receive five-star ratings and come highly recommended. If you need help deciding which backpack suits your needs, review and compare their primary features. The North Face Recon is a durable, versatile backpack. While you can use it for almost any situation, it is primarily intended as a daypack for short day hikes. It features a 31-liter capacity, which is a medium-size pack. When carrying a hiking pack, you want to ensure that the backpack is comfortable and secure. The Recon includes a quality suspension system to reduce the pressure on your back and adjustable straps for a secure fit. You also get a variety of pockets for storing your gear. This includes a hydration sleeve, along with tablet and laptop sleeves. The backpack weighs just under three pounds and is backed by a lifetime warranty from The North Face. The Borealis is slightly smaller than the Recon with a 28 liter capacity. It features a sleek, stylish design and many of the features that you may expect from a hiking bag. This includes flexible pockets and quality support from the shoulder harness and hip belt. Instead of including an external hydration sleeve, the Borealis includes a front panel with a bungee cord. This is suitable for stashing items that you need quick access to, such as a map or a jacket. The Borealis weighs just a couple ounces more than the Recon and is also backed by a lifetime warranty. It is constructed from a durable nylon material with 22 color options. Both packs include similar features. This is expected as they are intended for the same purpose. While the colors, patterns, and designs may vary, both options are durable and constructed from breathable nylon. Another similarity is the suspension system. Both the Recon and the Borealis contain padded shoulder straps with a sternum strap to keep the shoulder straps in place. You also get a removable hip belt for additional support. If you like to bring electronics on your hikes, you will enjoy the laptop and tablet sleeves found on both backpacks. There is a padded sleeve for laptops measuring up to 15 inches and a padded sleeve on the front for tablets. The final similarities include the compression straps and reflective loops. The reflective loops are stitched on the bags for greater visibility for motorists when traveling at night. This is an extra safety feature that is included on both bags. The compression straps are located on the bottom and sides of the backpacks. After loading your gear, you can adjust the straps to improve the stability of the pack. The main differences include the size and the storage capacity of these backpacks. While the Recon is slightly smaller in weight and dimensions, it has a slightly larger storage capacity. The Recon holds 31 liters and the Borealis holds 28 liters. Even though the difference is minor, the extra three liters may sway you to purchase the Recon over the Borealis. If you want plenty of color options, the Borealis has you covered. You get 22 color choices while the Recon comes in eight colors. The Borealis also features an external bungee cord that acts as an extra pocket while the Recon includes an additional front access pocket for quick access to the main body. North Face Recon or Borealis: Which Is the Better Backpack? As with most comparisons, these backpacks are closely matched. The North Face produces quality products and these packs are not an exception. They are durable and flexible due to the high-quality nylon used to construct the main body of the bags. They also feature padded, adjustable straps and a variety of pockets. The differences between these two backpacks are small. The Recon offers three extra liters of space and an extra pocket in the front for quickly reaching the main compartment. The Borealis offers slightly less space but includes more color options. Decide which of these details is more important to choose between the North Face Recon and Borealis. Copyright text 2017 by Survival Backpack. Survival Backpack is a participant in the Amazon Services LLC Associates Program, an affiliate advertising program designed to provide a means for sites to earn advertising fees by advertising and linking to Amazon.